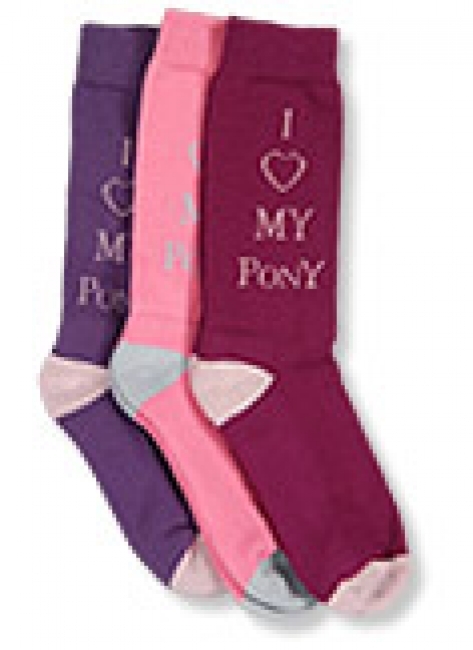 I Love My Pony Riding Socks. Don't let the playful boot sock fool you, this is technically designed riding socks that meet the unique needs of young riders for comfort and support. Extra stretch in the sock opening.